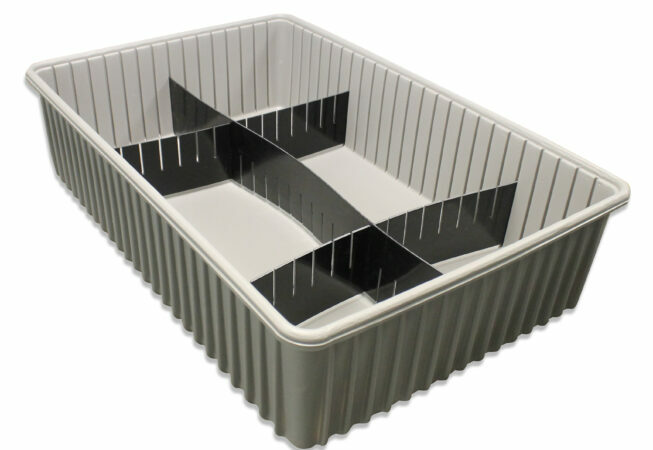 Our divider box system is a family design allowing various options to be compatible when used together. 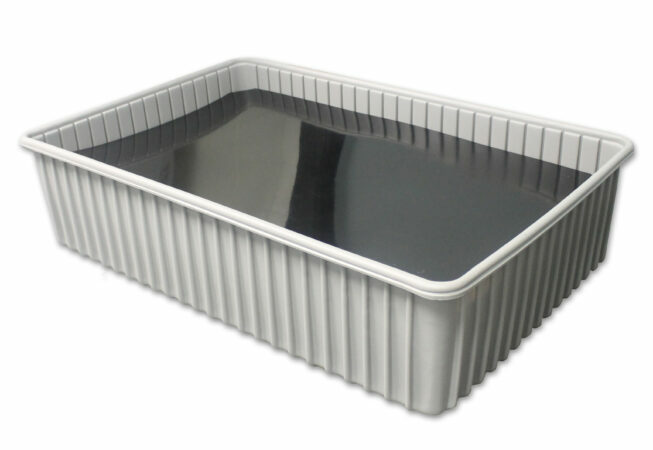 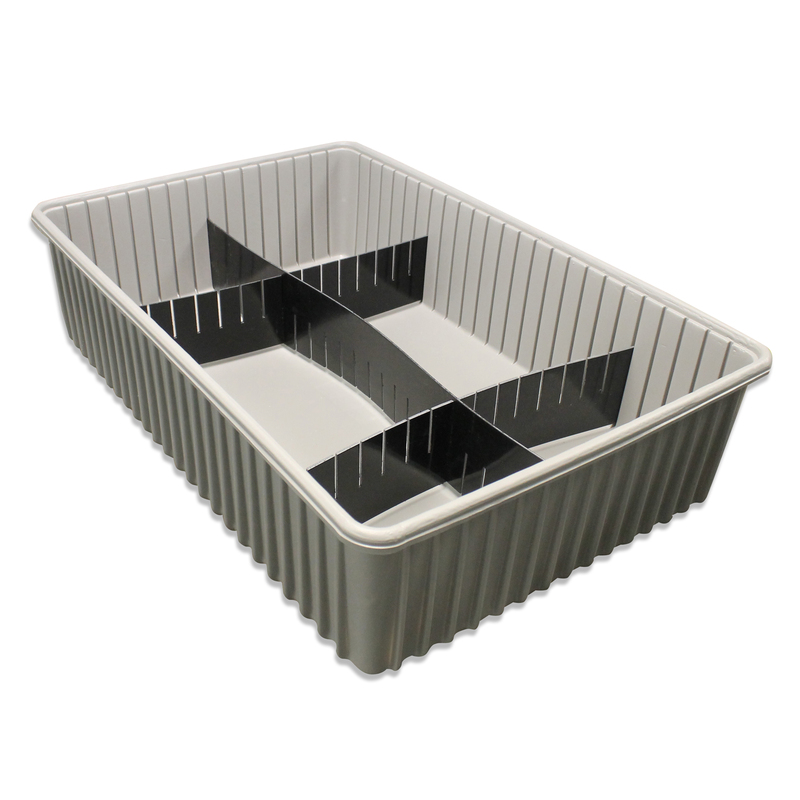 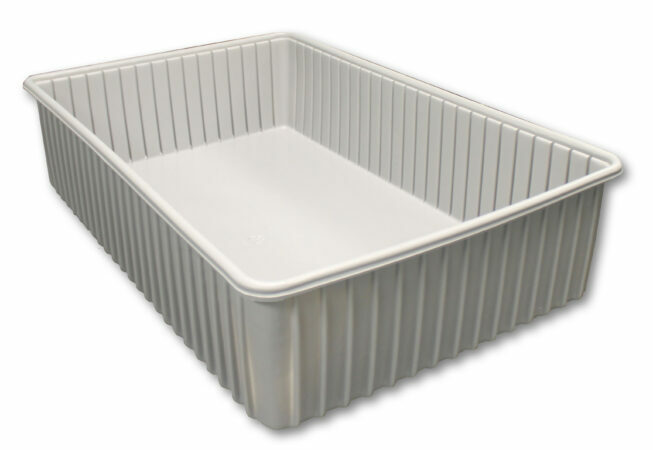 The divider box is made of high density polyethylene. 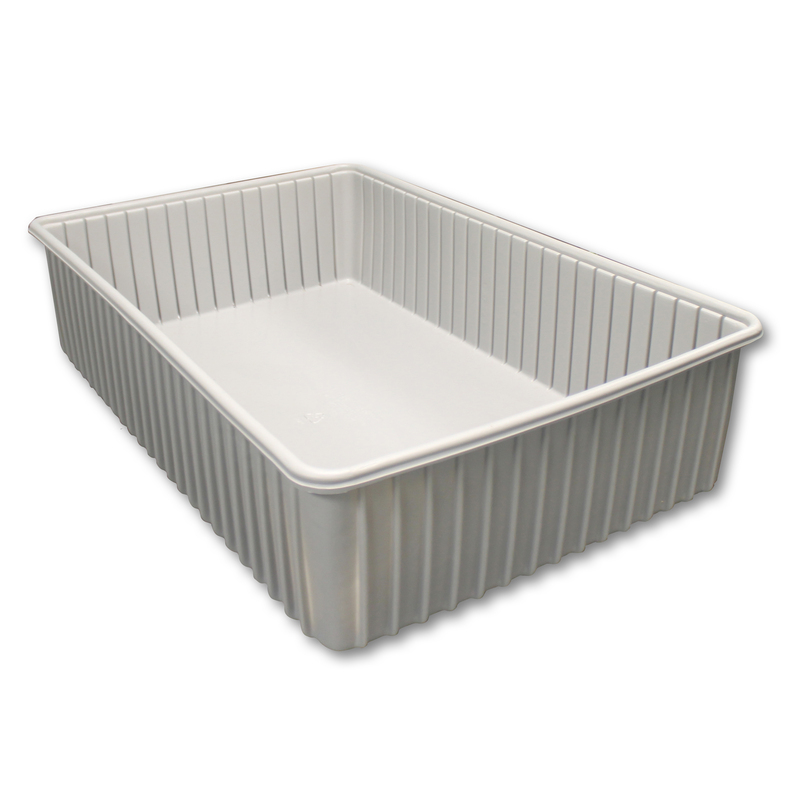 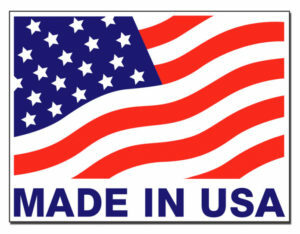 It provides a combination of high-impact strength and excellent chemical resistance necessary for a variety of material handling applications. 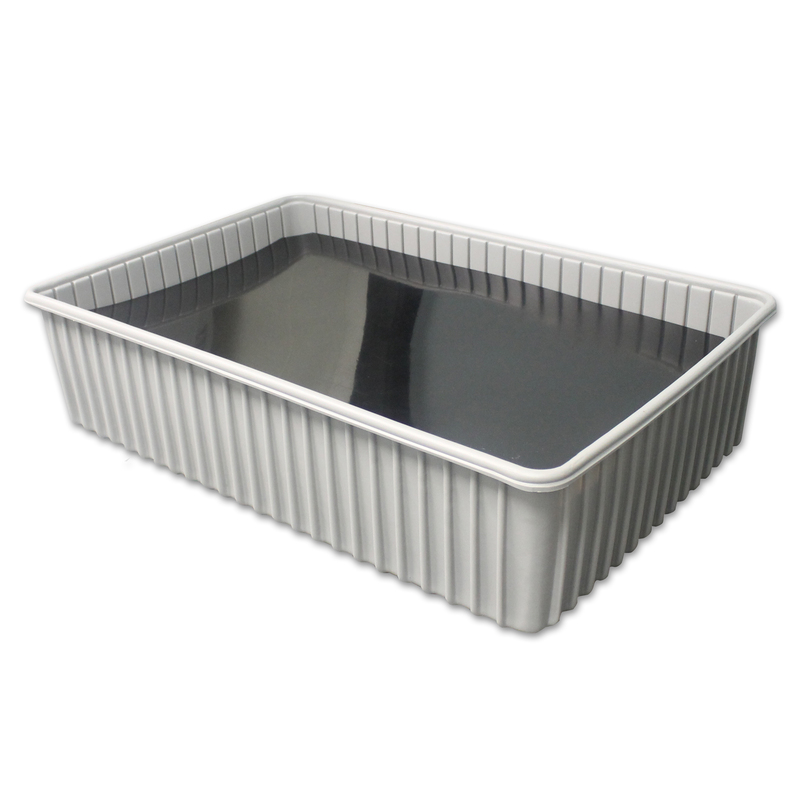 A flat sheet and 3 dividers are available to create a “Save a Spill” which contains splashes or contaminates.